The fact that something this comforting, soothing, and delicious would one day be a huge restaurant trend doesn’t surprise me at all. The only thing surprising is that it took so long for it to happen. Brodo. The Italian name for one of the favorite sipping soups of all time – Broth. The craze has already begun and you’ll be seeing more and more “Brodo” restaurants opening up as the demand for lighter, healthier, more satisfying restaurant meal choices increases. The magic of Brodo is about to go mainstream and the restaurant that does it well will be capturing lightning in a bowl! It’s going to be fun to see eateries across the country embrace what home cooks have known for centuries. Broth is the be-all and end-all. What got me through high school heartbreaks? Brodo. What made falling off my bike a little less painful? Brodo. What saw me through numerous flu seasons? Brodo, of course. If you ask my family, they’ll tell you that I make a pretty decent Brodo, especially with chicken and turkey parts. I’ve tweaked my recipe through the years, and, at least for now, this is my favorite variation. So after this last week of feasting on cookie platters and eggnog, just ahead of all the New Year’s Eve parties, make a big pot a Brodo. It’ll sooth your tummy and feed your soul. In a large stock pot, place cleaned chicken and turkey parts, onions, carrots, celery, rutabagas, leek, bay leaves, lemon juice, bouillon paste, and water. Bring to a boil, then simmer for about 2-3 hours, occasionally skimming off foam and discarding fat. When cooked, add salt and pepper (and more bouillon if needed) to taste. When pot is cool enough to handle, pour soup through a large sieve to strain (or strain in batches). Chicken can be cut up into pieces and added back to soup, if desired. When broth has cooled, refrigerate or freeze in airtight containers. Broth can be stored frozen for several months. You'll find the Better Than Bouillon Chicken Base in most grocery stores. One of my favorite ways to enjoy Brodo is by adding a small, delicate pasta like Orzo or Acini Di Pepe. 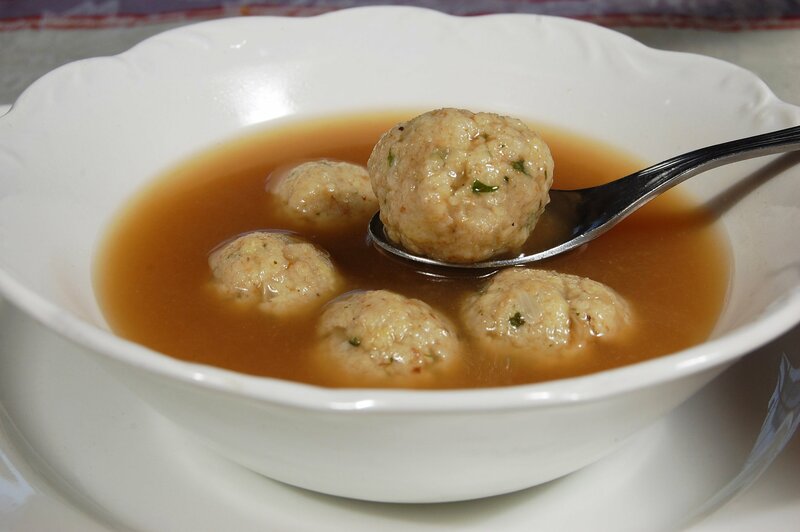 Brodo can be served alone or with small meatballs and topped with fresh-graded Parmesan or Romano cheese.